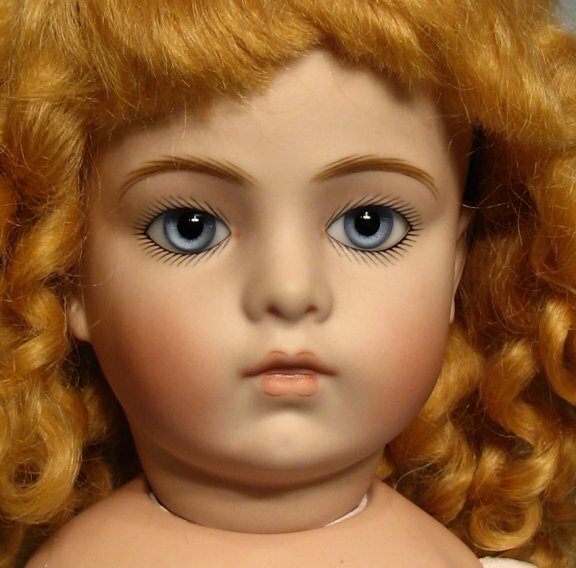 THE DOLL: 15" Chevrot-bodied Bru. For a few years, I've been making a Chevrot-bodied Bru in a lovely 15" size. She's not too big and not too small....but just right for creating a lovely authentic Bru wardrobe. Here are some lovely Brus on a leather Chevrot body. The head, shoulderplate and arms for each Bru is poured in white porcelain and tinted with a light pink wash, just like the antique Brus were. They come with cork pates and beautiful mohair or human hair wigs. The lower legs are made of latex composition. The leather bodies are cork-stuffed, giving them a wonderful feel. These Chevrot Brus have wonderful paperweight eyes made by the Hand company in England. 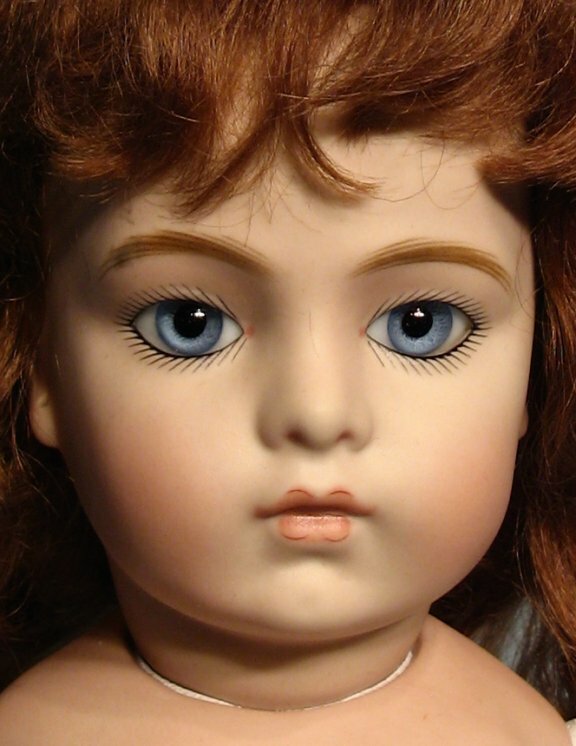 These eyes, whether blue, gray-blue, or brown, add such a richness and authenticity to the look of the doll. The Chevrot-style body is made by me. I have created my own pattern for this body, developed from a size 4 antique Bru. Included in the purchase of your Chevrot Bru is the underwear pattern below and your choice of the Day Dress pattern, the French Jacket & Skirt pattern or the Harlequin pattern. These patterns have been specifically designed for this 15" Chevrot body. 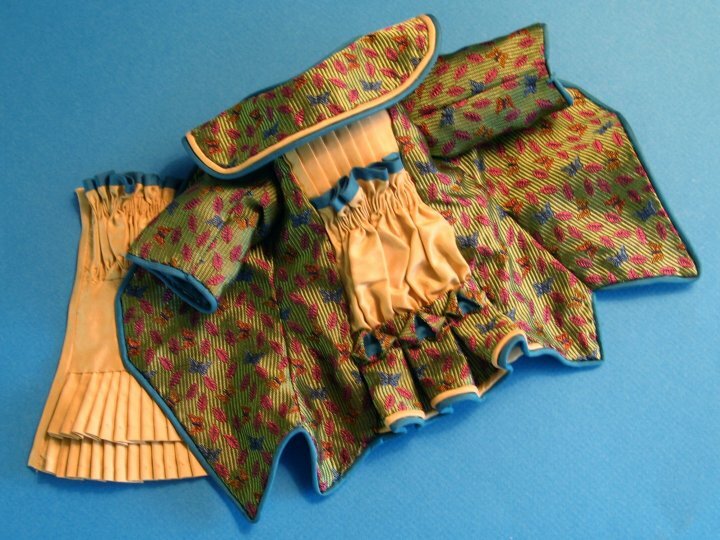 Pattern for Harlequin outfit. This outfit was inspired by an antique Bru found on the cover of an Antique Doll Collector magazine (September 2003). This pattern includes skirt, bodice, hat and shoes. Requires some sewing skill. 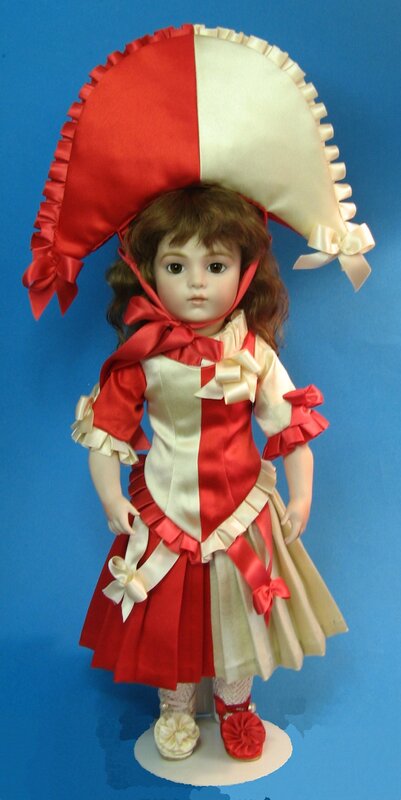 $15 Here's a photo of the antique doll that provided inspiration for the outfit shown above. 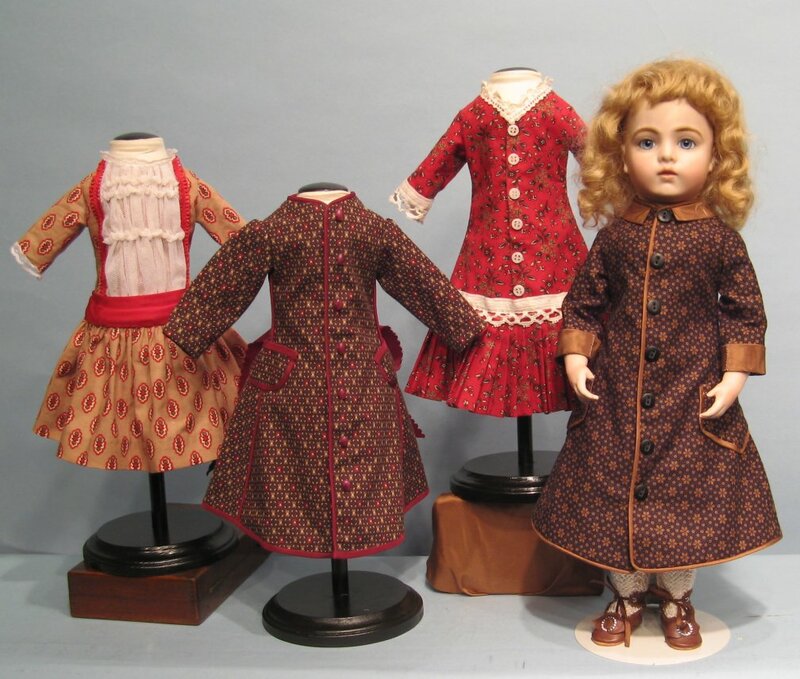 Look in the September 2003 issue of Antique Doll Collector to see her and other beautiful antique Brus. 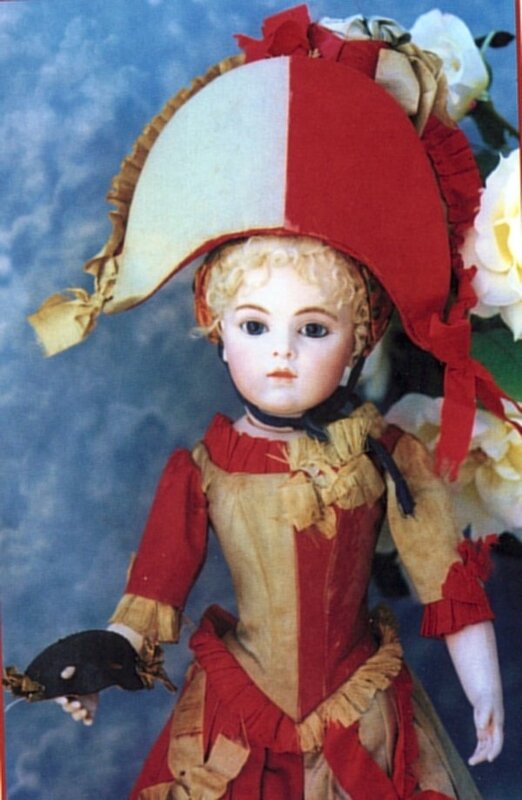 This is the Antique Doll Collector cover that was the inspiration for the Harlequin pattern.